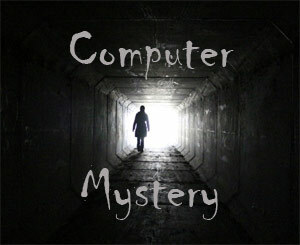 Recently I got some reports from people that something weird was happening on their Windows computer. Every so often a window would appear on the screen and then immediately disappear. It would happen so quickly there was no chance of seeing any words or error message – it would just flash on then disappear. Then I noticed it also happening on my screen. What is this weird thing that’s happening to our computers? Honestly, when I first heard about it, I kind of assumed it was virus or at least some type of malware. But it was too coincidental that all of these people were having this same issue. And even though I would never say anyone is 100% “immune” to a computer infection, I would be very surprised if I got one because I am so aware of them and my computer is so well-protected. Turns out, we can thank Microsoft for this one. 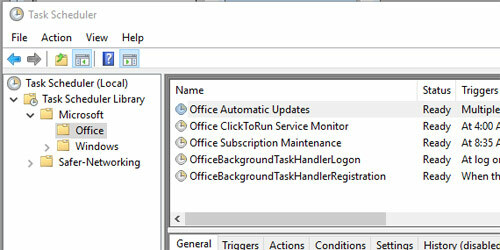 This is happening as a function of Microsoft Office. 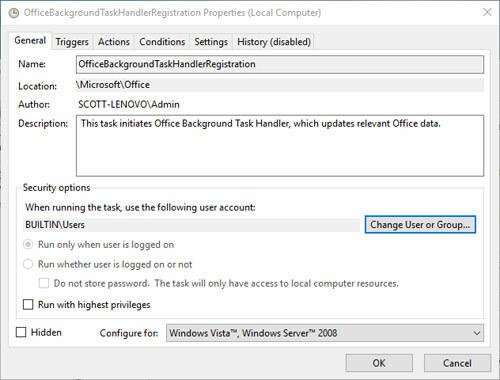 There is a computer task related to Office, called “OfficeBackgroundTaskHandlerRegistration”. None of us really need to know what this thing does from a technical standpoint, but it’s basic job is to update “relevant Office data”. And it does this every hour pretty consistently, as long as an Office program (such as Word, Excel, Outlook, etc.) is running. The fact that the window flashes on the screen every time it runs, then disappears immediately, is just a bug in the software. Eventually it will be fixed with a regular Office update. 1. 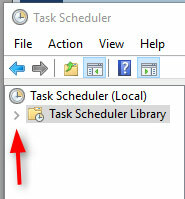 Open Task Scheduler. 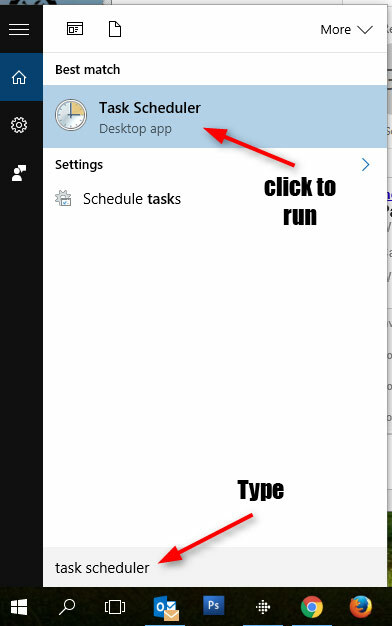 In most cases, to do this you can just click the Microsoft logo in the bottom left corner of the screen, and in the search field type Task Scheduler, then click on it when it shows up in the menu above. 6. 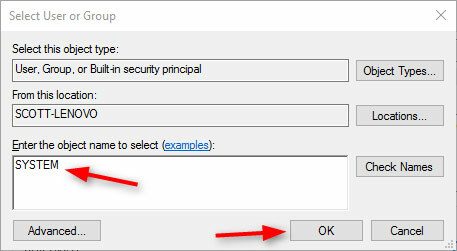 Then click OK again to close the remaining window, and click the X in the top right corner to close the Task Scheduler window. That’s it! No more mystery flashing window.